Oil and gas production is booming in the United States, but pipeline capacity is falling short. New gathering lines and takeaway capacity is needed to get energy products from the well to processing facilities to the market. While these lines tend to be smaller in size, they have a big impact on how oil and gas products reach the end-user. Recently, both ExxonMobil and Chevron announced plans to increase activity in the Permian Basin of West Texas and southeastern New Mexico. On March 5, ExxonMobil announced it had revised its Permian Basin growth plans to produce more than 1 million barrels per day (bpd) of oil-equivalent by as early as 2024 — an increase of nearly 80 percent. The anticipated increase in production will be supported by further evaluation of the company’s activities in the Delaware Basin, infrastructure development plans and secured capacity to transport oil and gas to ExxonMobil’s Gulf Coast refineries and petrochemical operations through the Wink-to-Webster, Permian Highway and Double E pipelines. Chevron’s outlook is supported by strong performance in the Permian, where the company has added almost 7 billion barrels of resource and doubled its portfolio value over the past two years. Permian unconventional net oil-equivalent production is now expected to reach 600,000 bpd by 2020 and 900,000 bpd by 2023. Other companies, including BP PLC, Royal Dutch Shell PLC and Occidental Petroleum Corp., have also considered increasing activity in the Permian. Last fall, Enable Midstream announced plans to expand its gathering pipeline business in the Anadarko and Williston basins. The company announced on Oct. 23, 2018, the acquisition of Velocity Holdings LLC, an integrated crude oil and condensate gathering and transportation company in the SCOOP and Merge plays in Oklahoma, for $442 million. In the Williston Basin, Enable announced it would add up to 72,000 bpd of crude oil gathering design capacity, increasing its total Williston Basin crude gathering capacity to up to approximately 130,000 bpd. Likewise, production in Appalachia with the Marcellus-Utica play continues to climb rapidly. 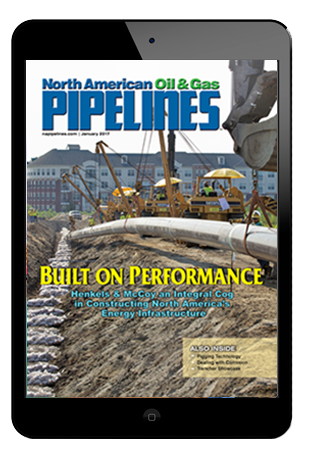 However, as oil and gas production throughout the United States increases, gathering and takeaway pipeline capacity remain a challenge, according to David Murk, pipelines manager for the American Petroleum Institute (API). API represents the entire oil and gas industry, including upstream, midstream and downstream pipelines. Gathering pipelines cross both upstream and midstream segments. The need for new gathering pipelines in the United States is driven by plays in place, the main ones being the Utica, Marcellus, Bakken and Permian, Murk says. With the major increase in activity in the Permian Basin, there’s a big push to move the oil and gas to the Gulf Cost for fractionating and then for the most part to export to the international market. With major companies entering or increasing their existing presence in the region, the Permian Basin represents the largest area of activity for building new gathering pipelines, Murk says. That activity is centered in Texas and New Mexico. According to a report from corrosion protection provider Matcor Inc., PHMSA’s proposed rulemaking will be broken up into three parts. The first section will address the expansion of risk assessment and maximum allowable operating pressure (MAOP) requirements to include areas in non-HCAs and moderate consequence areas (MCAs). Another part of the rulemaking will focus on the expansion of integrity management program regulations, including corrosion control to gathering lines and other previously non-regulated lines. And finally, the rule making is expected to focus on reporting requirements, safety regulations and definitions to include expanding into related gas facilities associated with pipeline systems. There’s a strong desire on the part of oil and gas producers to export, as energy needs are being met in the United States, Murk says. The desire is to move liquefied natural gas (LNG) and natural gas to other markets, primarily through the Gulf of Mexico. Gathering pipelines tend to be smaller diameter projects. 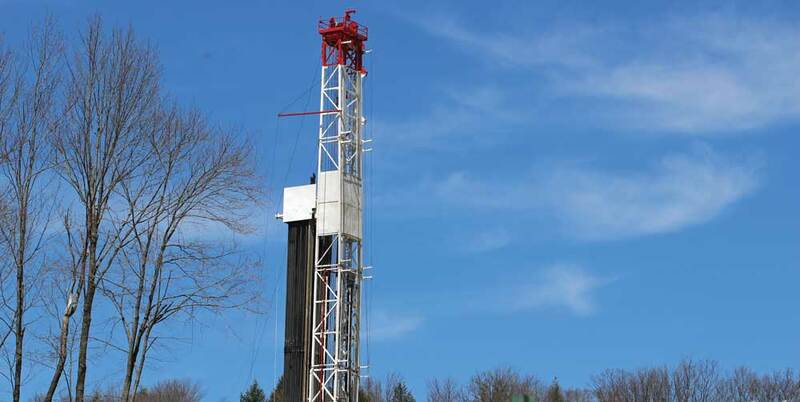 However, Murk says that in unconventional production areas, such as the major shale plays like the Marcellus and Utica, gathering lines tend to be larger diameter, since more wells can be placed on a single pad. Larger diameter pipelines are needed to move the additional product from these multiple well pads. Rulemakings go through PHMSA’s pipeline advisory committees, one for liquid (LPAC) and one for gas (GPAC). The gas gathering rule is scheduled to go through discussion with the GPAC at the end of June, Murk says. That will give the committee the opportunity to discuss the rule and come to an agreement, and then PHMSA will make any additional changes. Depending on the final outcome of the rule, if the scope gets down to where the risk becomes too great of a cost to bear, it could drive some of the smaller operators out of business. However, Murk says he doesn’t see the final rule swaying the industry from building new gathering pipelines. Despite the coming rule changes from PHMSA, Murk says there isn’t a rush to get projects approved and built. Bradley Kramer is managing editor of North American Oil & Gas Pipelines. Contact him at bkramer@benjaminmedia.com.